Earth Day is the perfect chance to honor our beautiful planet! Here are some fun and easy ways to celebrate Earth Day with your family. 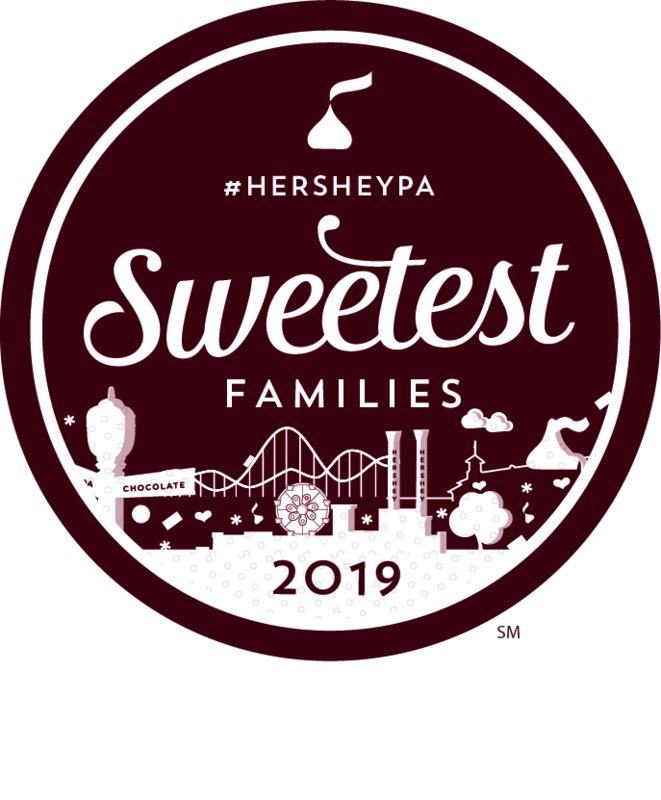 Many thanks to all of the bloggers who contributed to this fabulous round-up! Many thanks to the wonderfully talented and creative bloggers who allowed me to use their photos and links for this round up post. 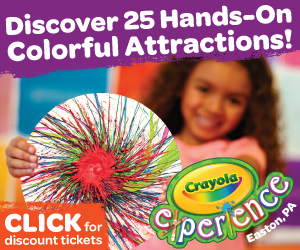 Please visit their sites for full instructions to these fun activities and recipes! 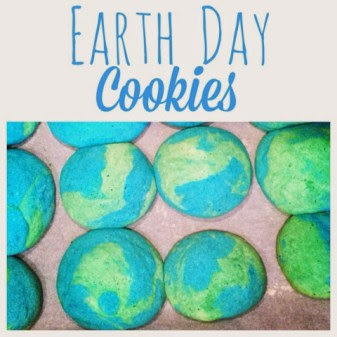 Whip up a batch of these colorful and easy Earth Day cookies from Views to a Stepstool! It's a fun way to get your little ones excited for Earth Day. Enjoy them after some gardening or a nature walk! Visit Views from a Step Stool for full instructions here! 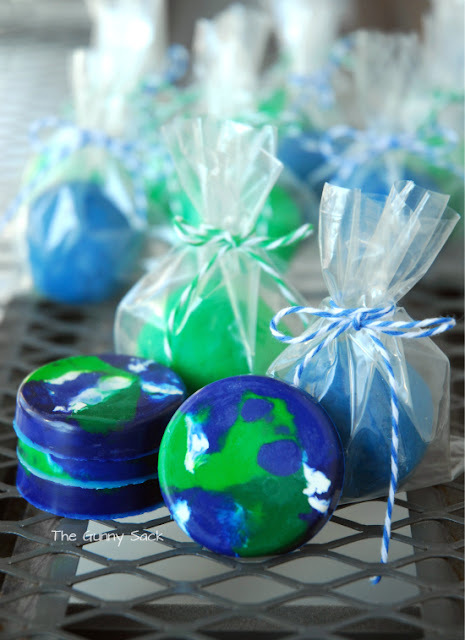 These Earth Day crayons from The Gunny Sack are so super cute and not hard to make! Hand them out to classmates or friends and remind them to recycle their old crayons into something new! Visit The Gunny Sack for full instructions here! Sunny Day Family has created an adorable free printable for you! 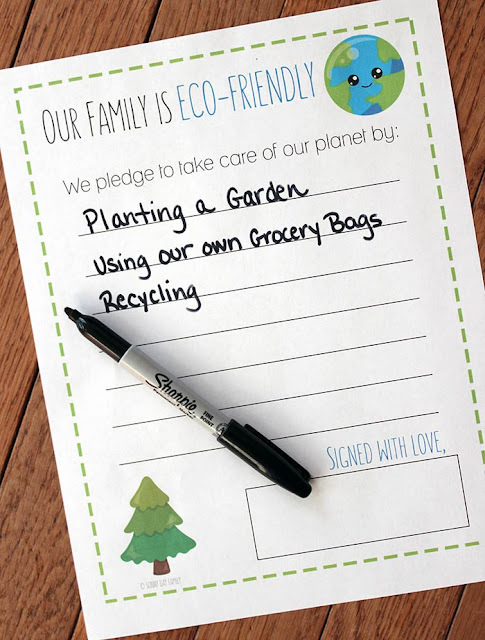 Print and fill out this eco-friendly pledge with your little ones, and discuss the importance of taking care of our earth! Visit Sunny Day Family for your Eco-Friendly Pledge here! One of the easiest things to do on Earth Day is plant something! Here's a fun twist on planting from Schooling a Monkey. 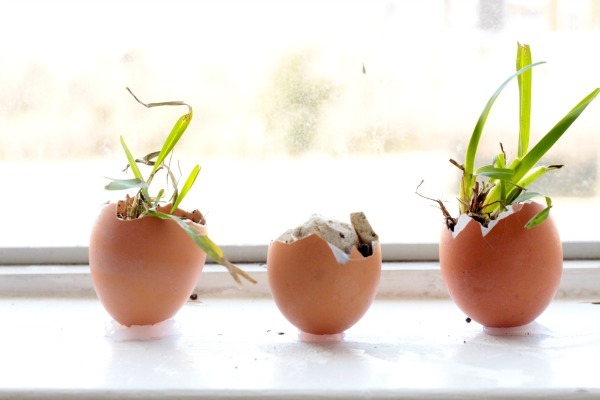 Learn how to plant your own little garden inside empty egg shells! Visit Schooling a Monkey for full instructions on planting an egg shell garden here! DIY Upcycled Starry Night Luminaries by Me, The Jersey Momma! Upcycling is another fun way to show your appreciation for Mother Earth. Go through your recycling bin and see if you can find something to transform. I created these starry night luminaries by upcycling a soup container from Chick-fil-A! Find the full instructions for Upcycled Starry Night Luminaries here! 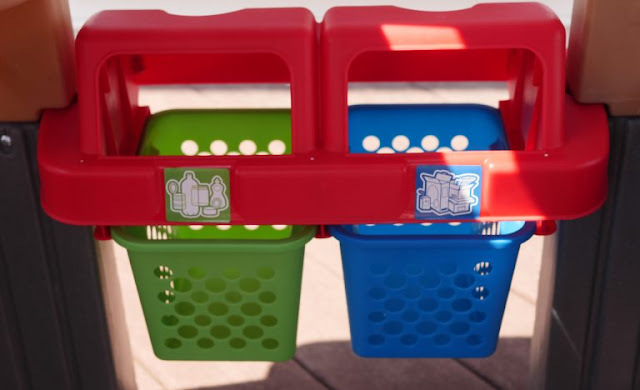 Theresa's Reviews tried out the new Go Green playhouse from Little Tikes and it's adorable! Your children can learn about recycling and planting from this sweet little playhouse. Wait till you see all of the cool features that this little 'green' playhouse has for your kiddos! 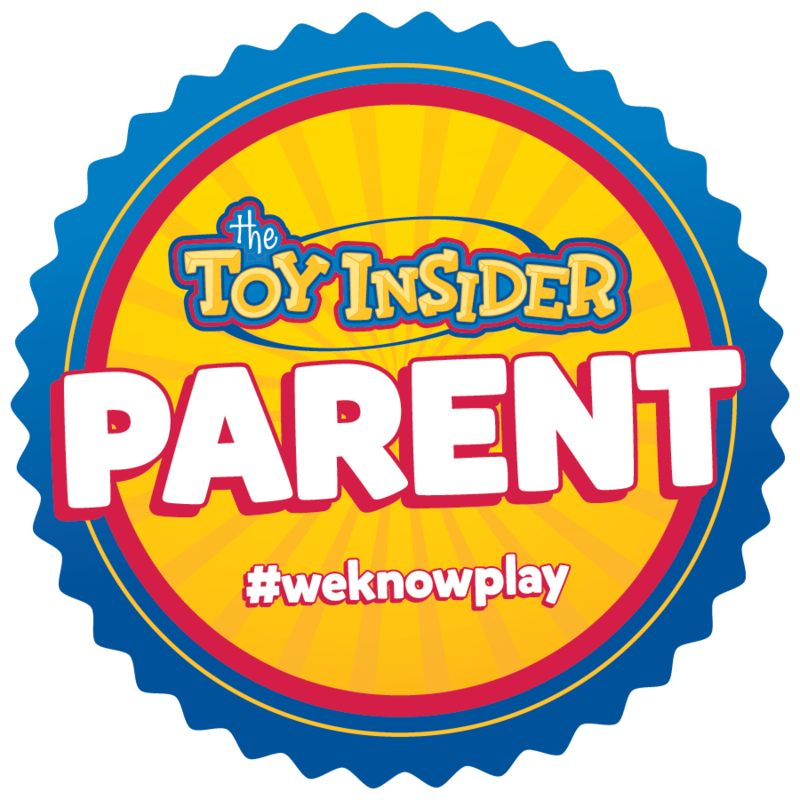 Read more about the Little Tikes Go Green Playhouse at Theresa's Reviews here! 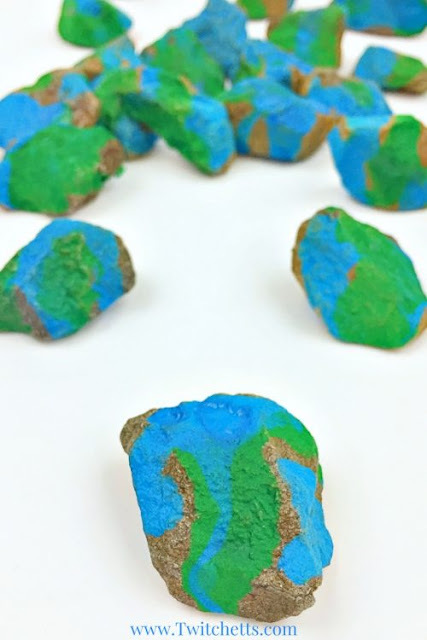 Bring out your inner artist with these cute Earth Day inspired painted rocks from Twitchetts! Go on a nature walk for your rocks and stones, and if weather permits, create your rock art outside. Read the full instructions from Twitchetts and see their finished masterpieces here! Did you know that dryer lint can keep soil from leaking out of the bottom of pots? Neither did I! Capri + 3 shows us how to repurpose dryer lint to make adorable little planters. 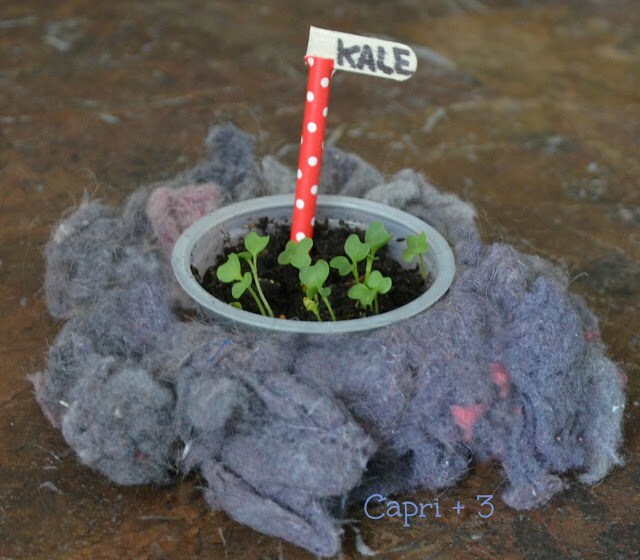 Read the full instructions for Capri + 3's Dryer Lint Gardening here! 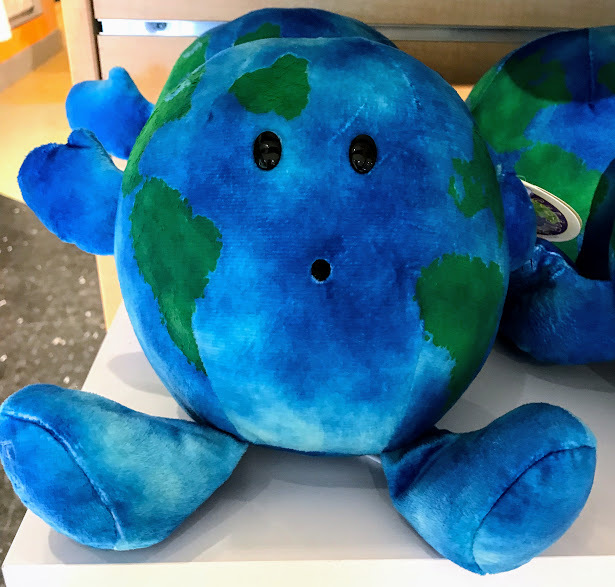 The super cute plushies from Celestial Buddies are each shaped like a different planet in our solar system. You can purchase your very own Earth through my Amazon affiliate link here. And be sure to check out my Earth Day picks from Amazon! 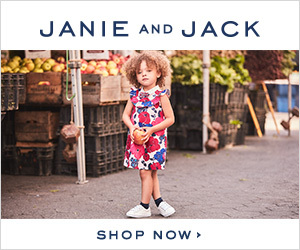 Use my handy dandy Amazon affiliate links below. Happy Earth Day, everyone! I love this post so much. Such creative ideas here! Thank you!! I tried to share some easy, creative ones!